Go Set A Watchmen, a newly discovered novel, from Harper Lee, the bestselling author of the Pulitzer Prize-winning classic, To Kill a Mockingbird. is due to be published on July 14, 2015. 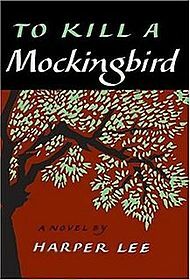 It was originally written before Lee’s only published novel To Kill a Mockingbird (1960) in the mid-1950s, And was submitted to her publishers before To Kill a Mockingbird. The Novel is set some twenty years after the events in To Kill a Mockingbird, and is written from the point of view of an adult Scout (Jean Louise) Finch who travels from New York to Maycomb, Alabama, to visit her father, Atticus Finch, And the title alludes to Scout’s view of her father, Atticus Finch, as the moral compass (“watchman”) of Maycomb and sees Scout “forced to grapple with issues both personal and political as she tries to understand her father’s attitude toward society and her own feelings about the place where she was born and spent her childhood. The title comes from Isaiah 21:6: “For thus hath the Lord said unto me, Go, set a watchman, let him declare what he seeth.” And the novel contains manyof the characters from To Kill a Mockingbird and examines how they are adjusting to the turbulent events transforming mid-1950s America. 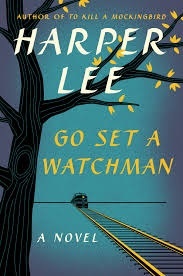 Go Set a Watchman was written in the mid-1950s, before To Kill a Mockingbird was written, which was published in 1960. Sadly the manuscript for Go Set a Watchmen was Assumed to have been lost, until being discovered in late 2014 in late 2014. It will be published as originally written, with no revisions. Go Set aWatchman is 304 pages long and is described as moving, funny and compelling…. As a Southern Gothic novel the primary themes of To Kill a Mockingbird involve racial injustice and the destruction of innocence. Scholars have noted that Lee also addresses issues of class, courage, compassion, and gender roles in the American Deep South. The book is widely taught in schools in English-speaking countries with lessons that emphasize tolerance and decry prejudice. Despite its themes, To Kill a Mockingbird has been subject to campaigns for removal from public classrooms, oftenchallenged for its use of racial epithets.Reception to the novel varied widely upon publication. Literary analysis of it is sparse, considering the number of copies sold and its widespread use in education. It was adapted into an Oscar-winning film in 1962 by director Robert Mulligan, with a screenplay by Horton Foote. Since 1990, a play based on the novel has been performed annually in Harper Lee’s hometown of Monroeville, Alabama. To date, it is Lee’s only published novel, and although she continues to respond to the book’s impact, she has refused any personal publicity for herself or the novel since 1964.